Financial Management (FM) is the application of general management principles to managing the financial resources of a business organisation. It involves planning, organising, monitoring and controlling the financial resource of an enterprise and plays a significant role in aligning corporate decision making to business strategy. FM starts with identifying the business objective and strategy and extends beyond operational elements of finance such as the revenue, expenses, receivables, payables and cash flow but extends to encompass managing the assets and liabilities of the organisation. It ensures that the liabilities of a firm do not outweigh its assets, the cost of capital does not diminish the returns on investment and the cash flow is adequate to meet the needs of the company. What does Financial Management involve? A business must have an adequate cash flow to meet is immediate short-term requirements such as to pay for stocks, employees, rent and utilities. Likewise, it would require cash to meet its medium and long-term requirements. The FM has to plan for these needs and must allocate funds for the same. This involves methods and means of monitoring, coordinating and evaluating the processes and procedures involved in the sourcing and utilisation of resources. Through implementing controls, an enterprise can ensure accuracy, eliminate fraud and limit variance with the objectives of FM. It protects the financial resources of an enterprise. This involves investment decisions relating to fixed assets, like capital expenditure budgeting and budgeting for working capital. The budgeting leads to financing decisions whereby the sources of finance are determined by the cost and returns of the investment and immediacy of the requirements. It extends to decisions involving the earnings, particularly, decisions relating to dividends – how much and when the dividends will be disbursed. It also involves decisions on how much of the earnings will be retained as reserves for investments and expenses. It is essential to evaluate if the enterprise’s capital composition, asset mix and business portfolio are ideally enhancing the shareholders’ value. Learn what business have to consider during compilation of financial statements. Financial Management enhances business performance by improving the predictability of the business’s financial resources and deploy appropriate strategies to improve the financial viability of the business. The short-term liquidity of the firm ensures its operating efficiency because unless the firm can meet its immediate financial obligations, the business cannot go on. Analysing the current ratio will ensure companies to gauge the liquidity and if the ratio deteriorates, it can promptly intervene with FM strategies to manage the working capital either by speeding up receivables by offering discounts for early payments or make early payments to avail discounts. A company can even sell and leaseback its assets to improve its liquidity. Thus, it could even moderate its tax exposure. Such measures would not only restore short terms liquidity but may even increase the profitability of a business. Solvency refers to the ability of the firm to meet its long-term financial obligation and is measured by the debt to equity ratio. By assessing the ratio, a firm can measure its solvency, and if the ration is very high, it is an indicator of risk. A highly leveraged firm may likely become insolvent. However, debt has its merits, and it does not alter or dilute the ownership of a firm, but it involves a cost for the firm of interest and may escalate the risk for the company. On the other hand, equity is an internal source of fund. There is no interest payment but the dividends are not tax-deductible, and shareholders have voting rights that may dilute the interest of existing shareholders. So, by assessing the debt-to-equity ratio, a firm may resort to equity finance if the ratio is high but if the ratio is low, it could choose to leverage with a cost-efficient debt. Profitability is the ability of an enterprise to generate more revenue than its expenses, and the net-profit ratio is a measure of a firm’s profitability. Cost and revenue control strategies can improve the profitability and thereby the business performance. Adopting cost control measure by reducing fixed and variable expenses, freezing salaries and other fixed expenses could help a company increase its profitability and bring some predictability. Hedging costs of materials sourced or by implementing revenue enhancing measures such as entering into partnerships or expanding into new markets to increase revenue is also another option. Companies use a variety of strategies such as hedging and derivatives as well as exchange rate management strategies to control operational and transaction cost. The efficiency of a business is its ability to achieve economies of scale by generating maximum output from the minimum input, and it is measured by total expense to sales ratio. Higher efficiency can be achieved by implementing strategies to reduce the expenses, focusing on core competencies and outsourcing non-core activities. Tapping into less expensive channels of sales or by reducing commissions also could help in optimising efficiency. Having a well-experienced service provider with expertise in international financial management will help an enterprise design an FM framework that includes not just the policies and process but also be able to help in implementing the control and evaluation systems. The right provider can also help with deploying appropriate FM strategies to achieve business efficiency and performance. 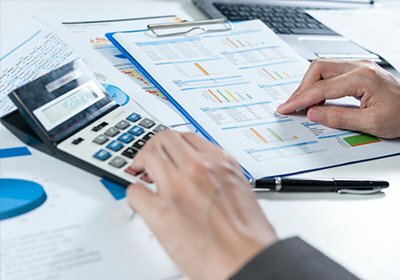 Whether you are relocating your business, or restructuring it, consult our experts to guide you on setting up proper financial management practices.